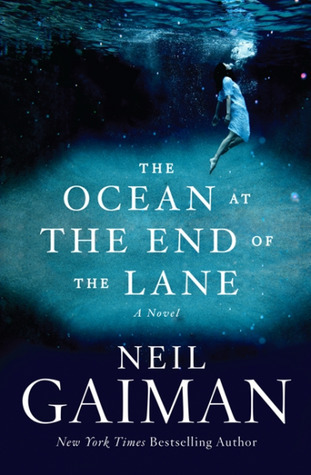 The Ocean at the End of the Lane by renowned author Neil Gaiman begins with a man who travels back to his childhood home for a funeral. Now middle-aged, the unnamed protagonist visits a farm near his house where his childhood friend, Lettie Hempstock, lived. Sitting by the pond, the man’s settled memories begin to stir as he remembers Lettie and the events that occurred in his childhood some forty-odd years ago. Though the framing of the tale seems bland, this coming-of-age story is anything but. The protagonist as a young boy faces terrifying odds: degenerate lessees, witless parents, horrifying foot-worms, and an otherworldly babysitter from hell, Ursula Monkton. The good news is the boy isn’t alone. His newfound magical friend, Lettie Hempstock, promises to protect him. The tale that ensues is a wonderfully-woven tapestry of magic, danger, and friendship that manages to be both heartwarming and bittersweet. Grown-ups don’t look like grown-ups on the inside either. Outside, they’re big and thoughtless and they always know what they’re doing. Inside, they look just like they always have. Like they did when they were your age. Truth is, there aren’t any grown-ups. Not one, in the whole wide world. This book has really stuck with me. When I find myself thinking about Neil Gaiman books (and he’s written many amazing ones), I think about The Ocean at the End of the Lane in particular. I love this book because it gave so much emotion and voice to things I felt as a child, but was never articulate enough to say. To Gaiman’s credit the emotions weren’t overt in the writing. His diction is wonderful, always finding the “right” words instead of the most flashy words. The Hempstocks were magical in the most earthen sense of the word, and parts of their characters reminded me of people I’ve known in the real world. The story is simple but eloquent in emotion and tone, and scratches the surface of a world that is marvelous to read about. I have an ocean of love for this book and will read it many, many times more. Lovely bookish mail this afternoon before a nice blustery, stormy evening happens upon us here in the South. Makes for perfect reading weather, you know, if the power doesn’t go out. Two signed goodies from my buddy @mphicks79, which you can find my🌟🌟🌟🌟 reviews of both on my blog (link in bio). Still can’t get over the beautiful @kealanpatrick covers. Oh me, oh my. Another gorgeous ARC in the form of Blake Crouch’s newest, Recursion. Not sure if any of you read his last book, Dark Matter, but it is UHmazing. Very much looking forward to this one (hits shelves in June). Lastly, an ARC Dust Devils by @jonathan.janz from @flametreepress. This man is going to have to come to AL for a book signing because I’m pretty close to having his entire library... yes, Jonathan. Book Tour. Alabama. I’ll buy you dinner and get you some new boots.